We were starting to get worried that we wouldn’t receive the parcel from my mum’s mum for Christmas. 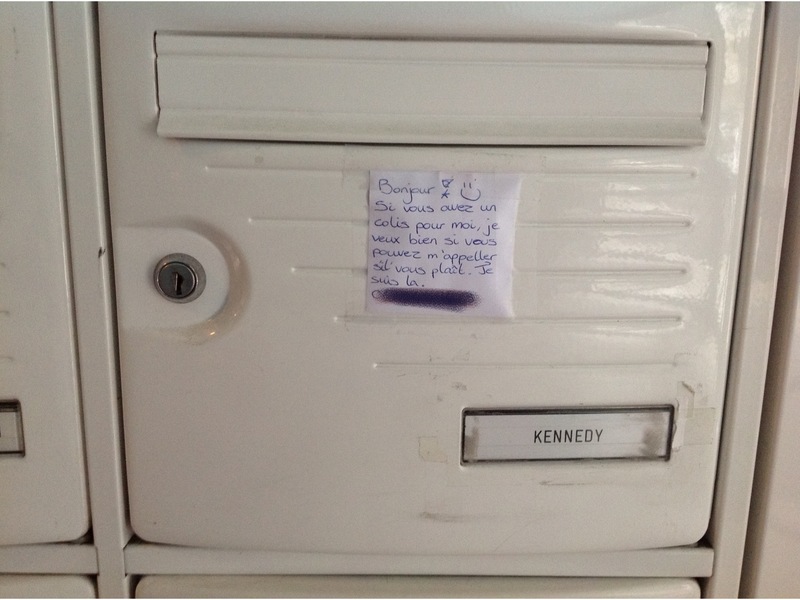 So last night we popped a little note on our letter box with our number asking the postman to call us if he had our parcel, otherwise he would take it to the post office and we wouldn’t get it until after Christmas. Guess what? 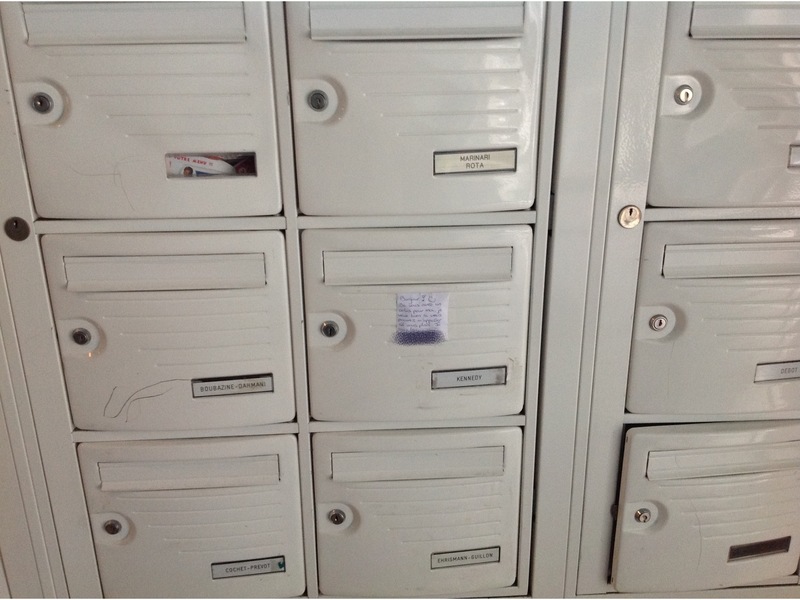 The postman did ring and we’ve got our parcel! 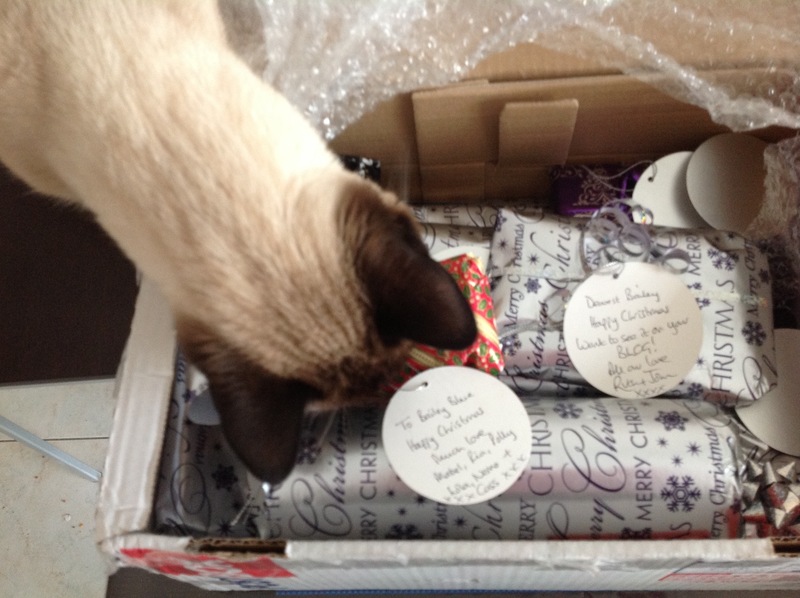 I had a quick peek to find my presents…. I can’t wait to open it tomorrow so I can share with you what it is! 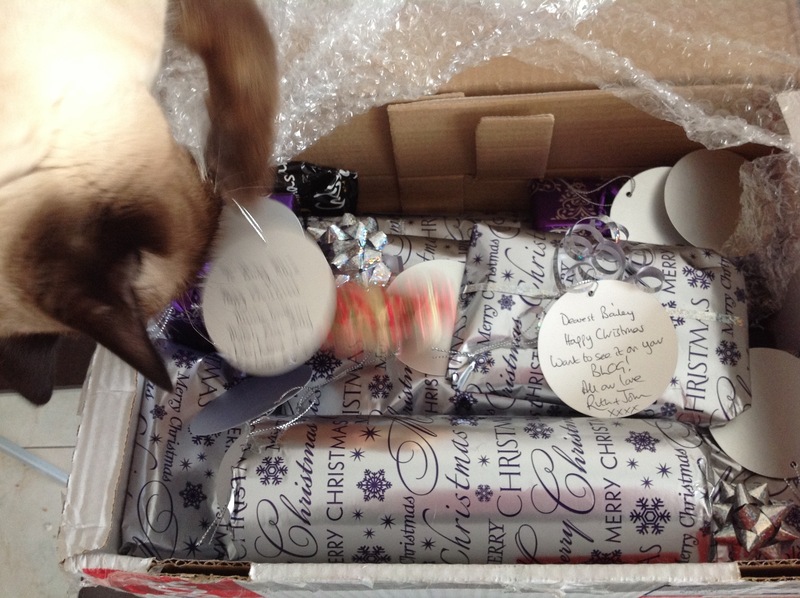 I was also surprised to have a present from the cats and their pet dogs!!!! Hmmmm I had to take a closer look at this one…. 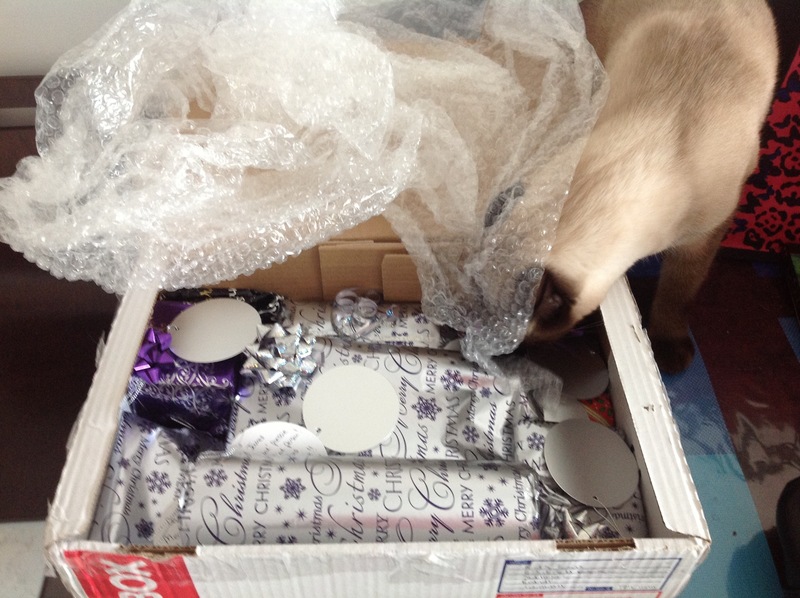 I begged mum to open it today but she said I have to wait until tomorrow! So today we love the post man and hope you all have a very Merry Christmas! 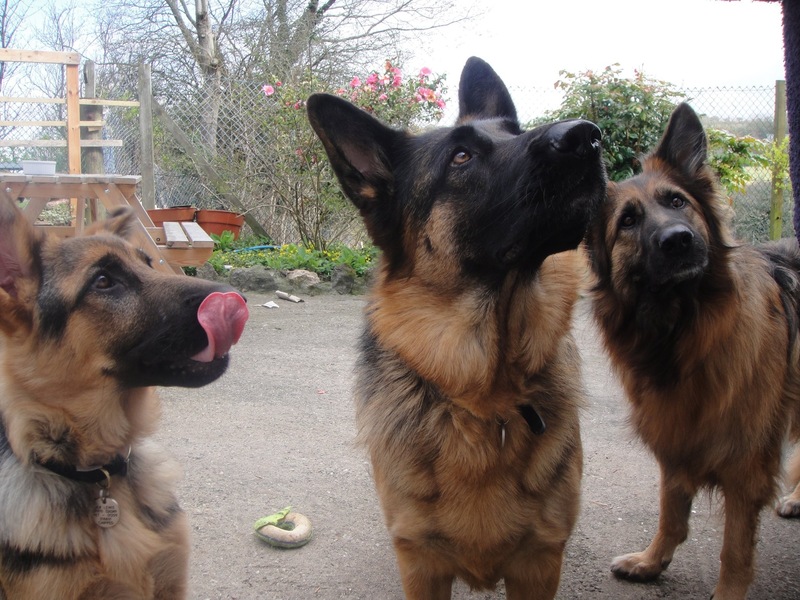 Big dogs! Hope they aren’t after you Bailey! Joyeux Noël Bailey! Have fun at Christmas! Merry Christmas eve, Bailey! We hope you have fun opening all of your presents tomorrow. Maybe you’ll tell us some more about Polly, Mabel, and Ria in the new year? Zoey thinks she’d like to snuggle with them…they look warm and cozy. Happy Christmas to your mum and dad too! Happy Holidays, Bailey! 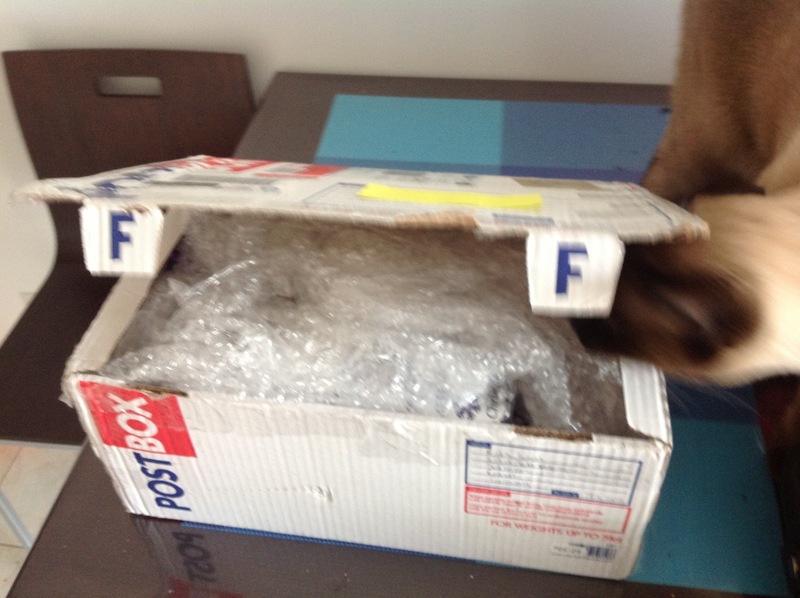 Like other felines I know, you inspect the parcel contents before your mum. 🙂 And such gorgeous dogs you have, too! Bailey, I hope you get all the things on your wish list. Merry Christmas and rip those papers away…. tomorrow. Christmas presents! We think most of them must be yours. Oh how exciting Bailey! 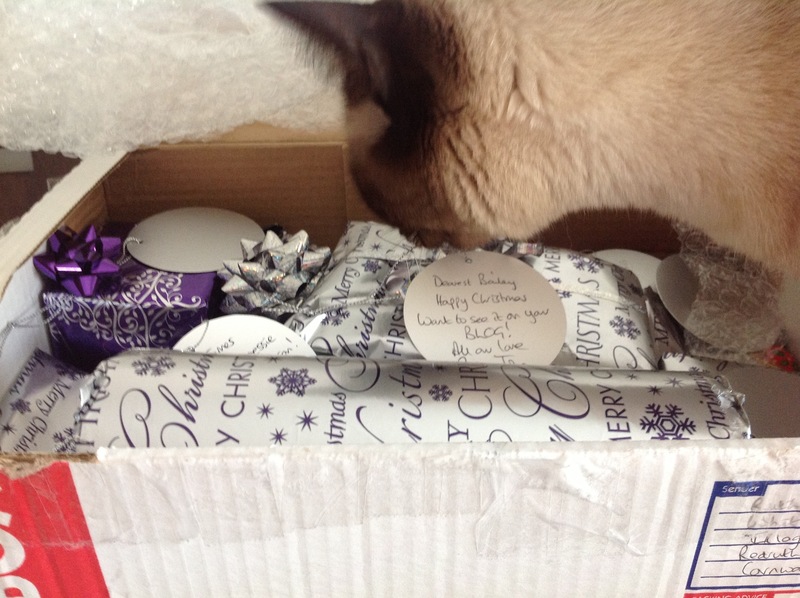 So happy your Christmas pressies arrived in time for Christmas! Now you can haul that big old box to the boat and have an EXTRA special Christmas morning with goodies from Grandma!! Merry Christmas, Bailey! Looks like you have lots of prezzies to open tomorrow. Can’t wait for you to share photos! 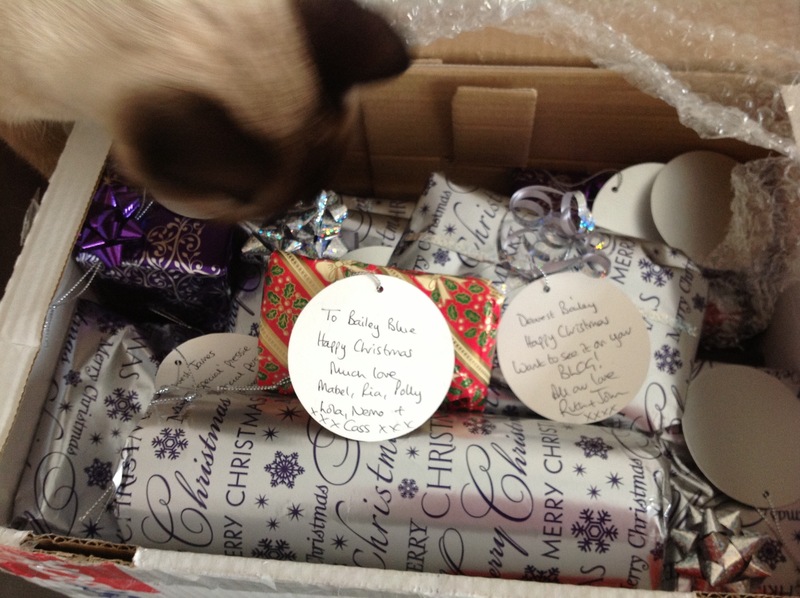 That looks amazing Bailey, so much presents!